for $675,000 with 5 bedrooms and 2 full baths, 1 three quarter bath, 1 half bath. This 4,632 square foot home was built in 2015 on a lot size of 93 x 111 x 98 x 115. Old world craftsmanship & high quality finishes define this beautiful, like-new house built by Kerber Family Homes. 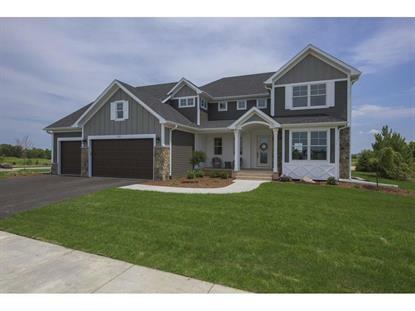 A former Parade model, current new construction can't hold a candle to the features found in this home for the dollar! Beamed ceilings & enameled wainscoting, solid acacia floors & custom enameled cabinetry with gorgeous granite tops all combine to create stunning impression of rustic elegance. Phenomenal storage throughout the home with oversized closets in each bedroom, complete with deluxe closet systems. All the extras you'd normally add to a new home after closing are already here: patio with paver seating wall, true zoned heat, fully insulated and heated garage, battery back up for sump pump, and window treatments throughout. Walking trails, quick access to Hwy. 212, and no association dues all make this a great neighborhood to call home.